Debras Random Rambles: gMovies, 6 MONTH FREE subscription Giveaway & 2 week FREE trial Offer! gMovies, 6 MONTH FREE subscription Giveaway & 2 week FREE trial Offer! Here is a special offer for my readers! I love this site! I love faith and christian based movies. Im a huge fan of the Left Behind Series, NOT the recent one with Nick Cage though. That was kinda bad! They even have movies that I have never heard of, but I will be watching! They have movies for younger kids and teens as well. They are not as big as Netflix, but maybe one day they will be. 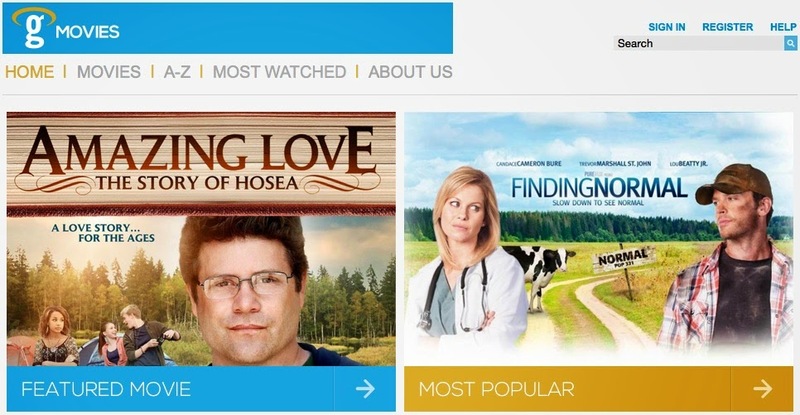 Right now, I think this is one of the best sites for religious movies. One lucky reader will win a 6 Month Subscription to gMovies! Use the easy entry below to enter! I love "The Blind Side." Wonderful film! kristiedonelson(at)gmail(dot)com Thank you.